Alternative dispute resolution or arbitration has increased in India over the last few years and have become an inevitable part of the resolution process, which is being adopted in multiple sectors and industries. Banking and Finance and Aviation to name a few. We also deal in arbitration cases in Power, Mining, Intellectual Property, as well as Entertainment and Media. Our firm has also experience in cases related to dispute solution in Telecommunications and Insurance. We offer Alternative Dispute Resolution or ADR services with years of experience. Apart from working in Chandigarh, many of the team members have presented government bodies and other companies in cases that needed conciliation and mediation through ADR. Our dedicated and experienced team of lawyers have all the required expertise to meet the requirements of clients, and depending on arbitration matters, we offer intense advise on the case, no matter how complicated the facts and terms may be. 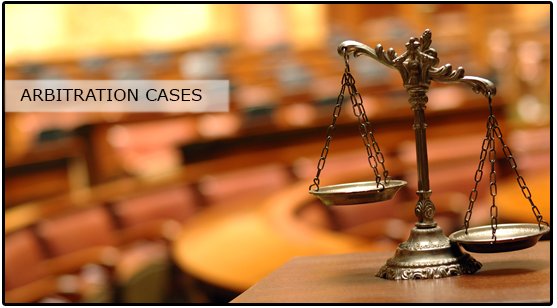 As mentioned earlier, we have handled all kinds of arbitration cases and it depends on the essentials of case on how the entire case is taken ahead. We have experience in cases related to Marketing Agreements, Commercial Contracts, and Contractual Disputes, apart from regular cases of Construction Agreements, Collaboration Disputes, Service Agreements, and Joint Venture Agreements. Our expert lawyers can also guide aptly on Supply Contracts and Sale Agreements, as needed. Please note that all our client details and cases are held private and no information is made available to any third party. Feel free to ask us or take an appointment for any arbitration case that needs a legal opinion. With professional lawyers and team of experts, mediation and getting to the right resolution is not a tough job for our team. For any issues or clauses that need clarity or to get right advice, do write to the team experts or call the legal office for a personal appointment.